After seeing how Montrealers welcomed the Florida-native band at the Vans Warped Tour this summer, the announcement of Yellowcard’s show at the Metropolis on Jan. 16 is sure to please local fans. After a few years without touring on Canadian ground, the pop-punk band is beginning 2013 with a full Canadian tour, stopping by Montreal first. The group of high school friends that is now Yellowcard met some 13 years ago while attending arts school. After giving collective songwriting and music-making a shot, they had no idea that they would one day make a living out of it. They released a few EPs here and there, but when they released their first major record, Ocean Avenue, in 2003, they were finally propelled into the spotlight. “It’s a dream come true to be a musician and get to travel the world and hang out with people, listeners and bands that enjoy what we have created,” said Sean Mackin, the band’s violinist and backup vocalist. Known for their unique sound characterized by the incorporation of the violin into their rock songs, mixed with lyrics that reach out to a very wide audience, Yellowcard has accumulated loyal fans since day one. With five studio albums released since 2003 — Ocean Avenue, Lights and Sounds, Paper Walls, When You’re Through Thinking, Say Yes and their latest, Southern Air, which came out last August — the band has a lot to be proud of. Even after all these years, Mackin, lead vocalist and guitarist Key, drummer Longineu Parsons III, bassist Josh Portman and guitarist Ryan Mendez still love touring as much as they used to. But in between the releases of Paper Walls and When You’re Through Thinking, Say Yes, the band decided to step back for a while after being on tour non-stop for about eight years. They took a two-year break from touring and recording to re-evaluate their lives and spend time with family and friends. But they soon got back on the train, aware that they were doing what they loved and had been missing it more than they would have thought. Ready to live the dream some more, they signed with a new label, Hopeless Records, and put out When You’re Through Thinking, Say Yes in 2011, followed by a tour that brought them to more than 30 countries around the world. The fan response to this album was widely positive, and fueled the energy that the guys put into their current release, Southern Air. Yellowcard has a lot going on for 2013, with their North American tour just beginning, followed by a European tour that will bring them to countries they have never visited before. With two albums released in only two years, the band will focus on touring and is not planning on recording; but worry not, they never stop writing new material. After having been on tour together for what seems like forever, Yellowcard has yet to disappoint fans with each new release, and the band is still going strong. 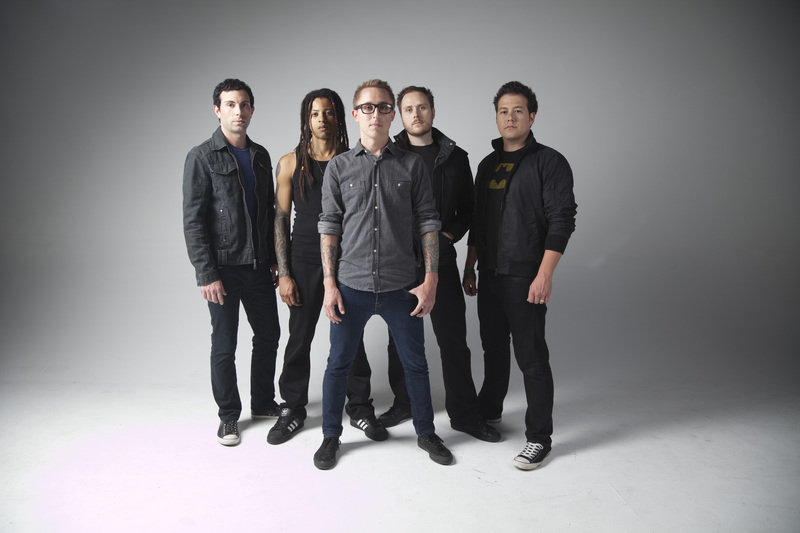 Yellowcard plays Metropolis with All Time Low on Wednesday, Jan. 16 at 8 p.m. Tickets are $31.70.